I’ve written quite a lot about quarter ends and reviewing progress and so if I think I’m repeating myself I’ll instead add a link that points to other posts and articles that say what I was about to say…again. So, to get the full benefit of my message, please do click on the links and fill in the gaps. Right now, at the end of your first quarter, you have time to make changes and still meet original year-end goals. But leave things too much longer and your chances of doing that increasingly diminish. So, please act now (or after the Easter break). There are 3 questions that you need to ask and act upon now if necessary. 1. Are You on the Right Path? Is your strategy working? A good strategy defines exactly where you are aiming to get to. This Strategic Destination should be a huge milestone – a new level for your business and your strategy should clearly show how you intend to get from where you are now to this destination. Start with the end in mind. It might take 2, 3 or more years to reach this destination, which is why I talked about setting a new strategy or adapting a current one, depending on where you are on the journey. Even though this strategy may be 3 years long, it should be broken down into progressively smaller milestones – annual goals, quarterly and monthly targets or milestones. Hence you’ve broken the journey into 3 annual sections or adventures – like the Lord of the Rings trilogy, if you want to get all Tolkienesque. Having set or adapted the year’s journey ahead now is the time to check that the path you have set is actually the right one. A plan is vital, but it cannot be set in stone. Its aims will be based on assumptions and circumstances. But, we live in an ever-changing world of and original circumstances can change and assumptions may become unrealistic. For example, you could have targets based on the assumption of attracting and converting a certain number of prospects. But you find that this marketing strategy is behind schedule or isn’t as effective as assumed and those prospects aren’t being attracted or converted. You could find that a new piece of industry legislation will be introduced later in the year, which will require a major change in the way you deliver your services. This is going to involve a lot of work in order to be prepared and compliant, which is understandably going to impact what you planned to achieve for the year. Things could easily happen that your original strategy hasn’t taken into account. 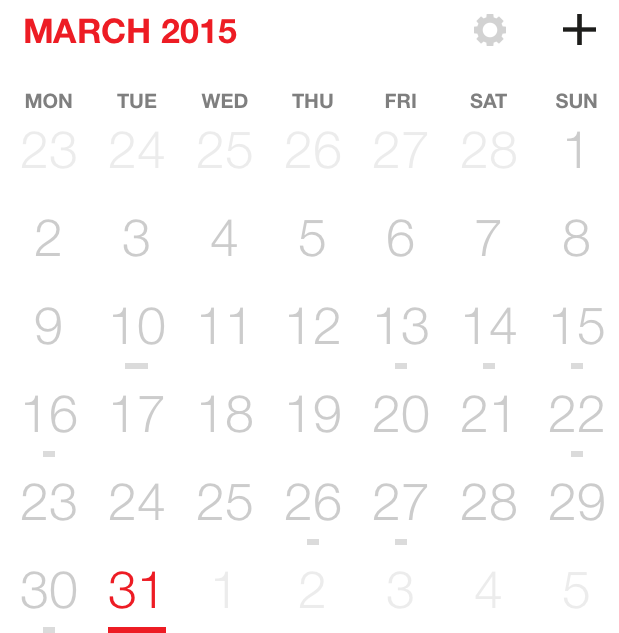 To stick with it and increase the risk of missing year-end goals would be foolish. Take the time out to check that the plans you have made are still realistic and adapt them if necessary. You’re 3 months in…you can still do this and meet your year-end goals – you can still divert your path and get back on it further along. I’ve written more on this here. 2. Are You at the Right Place Along the Path? Do you know exactly where you are on your plan? If you do that’s great – you have clarity and can address what isn’t working and exploit what is. If you don’t know then you are essentially running blind. Assuming you do have a strategy plan that you’re executing you also need to have the tools and processes in place to monitor progress and review according to clear and accurate data. You need to know where you are. Make sure you can see exactly where you are on your plan and the route ahead. Please click here to read more on this. 3. Can You Stay On The Path? Having reviewed where you are and changed course if necessary, now would be a good time to check that you can actually stay on the path ahead. Do you have the necessary resources and capabilities? Resource includes people, funds and that all important element, time. If you don’t have enough, the answer isn’t to work even more hours a day or at weekends. If you don’t have enough resource (people) and you can’t hire (funds) or don’t need to, then outsource. If you need more time then become more productive. If you don’t have the right capabilities or expertise, don’t decide that you will gain that expertise yourself if it doesn’t directly increase revenue. (See my ‘why outsource’ calculation in the outsource link.) Again, hire or outsource. You can see anything that could knock you off this path. What events could knock your business off course? What weaknesses are in your business that makes it vulnerable? Check out this article, Don’t Panic. Monitoring progress and carrying out these reviews are so important. You can’t guarantee that you will be able to stay on the path you set out on or that it doesn’t later become the wrong path. Get your attitude towards these reviews right and decide that they are an important exercise in meeting your goals. Have the right kind of review for the stage in the year that your business is in. And make them as effective as possible. Being able to confidently answer these questions will go a long way to strengthening your business. I’ve actually just completed a report on how to strengthen your business. In it I outline not one but four levels of strength that a successful business needs to survive and grow. 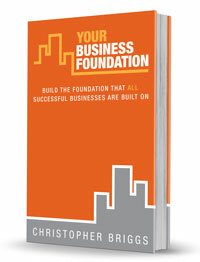 I intend to first make this report available as a bonus for anyone who downloads the Kindle version of my book, Your Business Foundation. As an extra incentive to download the book I will be making it free for 3 days from 3rd to 5th April. As you enjoy your Easter bank holiday spare a little thought for your business and if you want it to be better and stronger then download my Kindle book during this free launch and gain access my new free report, How Strong Is Your Business?